Have you tried any .mkv material ? 720p or 1080p resolution ? Can you change the backgrounds used ? You’re reading it right, and I don’t see the problem no. 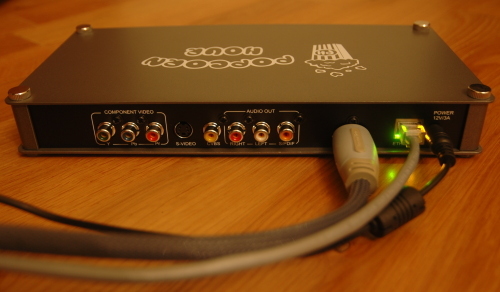 The Popcornhour is set to output a 720P signal, so it will scale the 1080P down to 720P on the fly and send it to my TV. Works fine for most v1080P material I’ve tried. So it may actually just be the Elephants Dream video (google it, freely downloadable) that triggers a bug in the decoding engine. Yes this player is wonderful for us HD lovers and I can just say that they have fixed the mkv Time seek issue in the latest beta (I’m a beta tester for the FW). That was the last really huge gripe with the player imo. press 1 and it goes 10% into the file. Press left/right and you can FF/RW in 30 sec intervals. But it works stable now for a week. Just joined the beta-tester rank myself, but haven’t downloaded any beta firmwares yet. Don’t think there are any right now, as the latest beta was upgraded to a general public release a couple of days ago. The MKV Time Seek issue was fixed as you say, and it looks very good to me. I was not aware of the left/right and number seeks though, great addition! 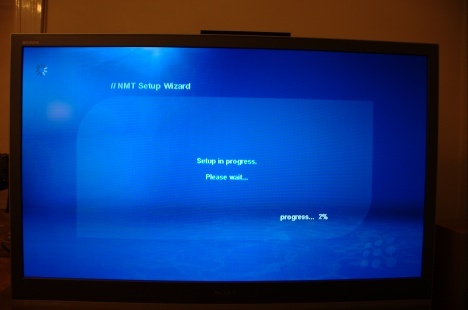 So everyone with an NMT should upgrade to get all the new features. Any news on opening up the software? When you do a fast forward on media, is it streamed or from the local hard drive? Try adding passing the mkv file with indexing enabled on your favorite converter application. mplayer -idx does the trick for most avi files lacking indexing. how does one access the contents of the firmware? Thanx for the excellent review. I got mine yesyterday which came with the Dec 2007 software. I had none of the startup issues you had. I just pluged the HDMI into my TV, Turned on the TV and set to the HDMI port, turned on the PCH and we were in busines. Didn’t have a great deal of time to test but I put a series of files ranging from 480i to 1080P on to a USB memory stick and they all played OK except for the Blu-ray samples that refused to play audio thru the HDMI port. Got an error saying that the audio format is not supported. Not sure if this was from the PCH or My TV. The only issue I has was that my remote batteries supplied were flat. Thought for a minute that the remote was faulty..
Well worth the money and I would recommend it. Have not upgraded to the latest software as I have found no need to in the PCH change list.. If Sigma Designs isn’t too worried about the copy protection thugs and their lawyers, they aren’t going to worry about a GPL violation. I think the hard drive could be used to keep photos in it. That way there wouldn’t be that long pause between photos (I hope). Can anyone check it? Very nice evaluation. I’m a developer and I’m having a few ideas about these kind of equipments could you please drop me a few letters to my email? Tried running the photo slideshow from the internal hard drive, but there is still somewhere in the region of 4-6 seconds of black screen between each photo. Bit useless that, even my old media player the Mvix MX-760HD was much faster. But picture quality on that was useless, looked like it scaled the photos to something like 320×200 or less before showing on screen. I’ll take slow and excellent picture quality over fast and grainy any day. 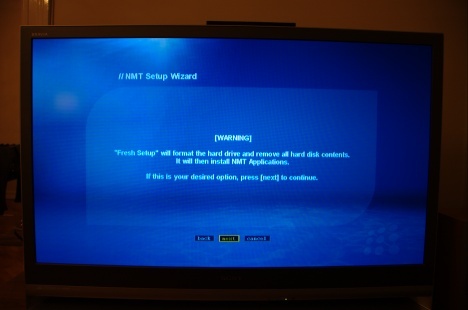 Your blu-ray audio problems could be either the PCH or your TV as you say. Blu-ray supports a number of formats, including PCM, Dolby Digital, DTS, several “HD” formats like Dolby TrueHD and DTS-HD etc. 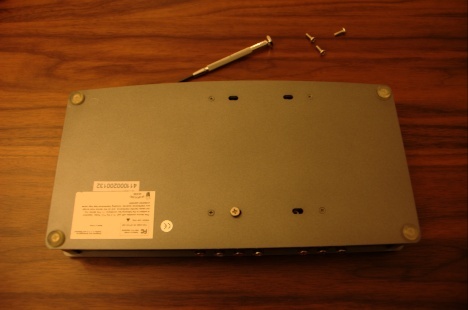 Some of which the PCH can decode internally and some it has to pass straight through to your TV/AV-receiver/whatever. 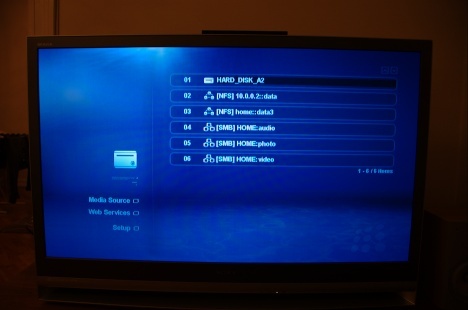 If you do not have an external thingy that can decode DTS/TrueHD/DTS-HD then you’re out of luck. 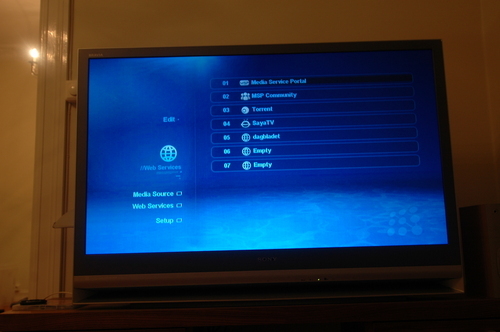 But do make sure you have the preferences in the audio/video menu configured to suit your setup. The “failure” of PCH to decode the new audio formats is due to licensing costs btw. Great review! I have not received mine yet as they are backlogged about 2 months. I have a question on the internal HDD formating. If I buy an ATA IDE HDD and install it as you suggest, will the PCH format the drive on its own? I don’t quite understand the EXT2/3 file system you mentioned as needing to be on there before formatting. Looking forward to actually getting it. Thanks. Hi there. The PCH can format the drive for you yes, so you do not have to worry about that. Hi! I don’t understand how this little thing can do so many things. Will it be able to read let’s say .vob files or .iso files of dvds stored on an external harddisk which would be connected by USB – and play those files without any hiccup? Does it have enough processing power to access for instance an .iso (dvd) file with menus and all and play those files? My reason for asking is I’m considering buying one of those little things if it’s able to do such a thing. Thanks! Yes, it will do all of the things you mention. The reason it can do this is that 99.9% of the work involved in playing a dvd iso, a vob, an xvid, a mkv file or whatever is done by a special purpose audio/video processor whose only job in life is to do exactly that, convert a stream of audio/video into sound and pictures. That’s the Sigma Designs chip the review talks about, and it can handle a bundle of formats in resolutions up to 1080P. Now, to actually get the audio or video off your hard drive and fed to the chip requires a bit of general purpose processing. But very, very, very little. 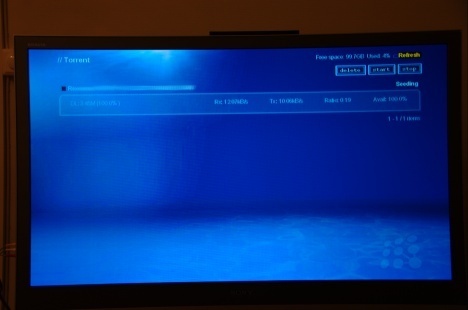 For a dvd iso, it’s reading the iso from disk and showing you a mostly static dvd menu. For another type of audio/video file like an mp3 or a divx the work is even less, just read it from disk and feed it straight to the chip. Perhaps pausing to strip off the extra mp3 headers dealing with song name, artist etc. For this type of work, there is a small general purpose CPU strapped to the audio/video chip. In terms of computing power, it’s pretty much on par with a newer mobile phone or an iPod. Nothing to write home about. Which is why media players like the popcorn hour will never be able to decode A/V formats that the A/V chip has not been specifically made to handle. They do not have the raw general computing power of a PC to decode brute force, but have to rely on the A/V chip. A different container format (i.e. 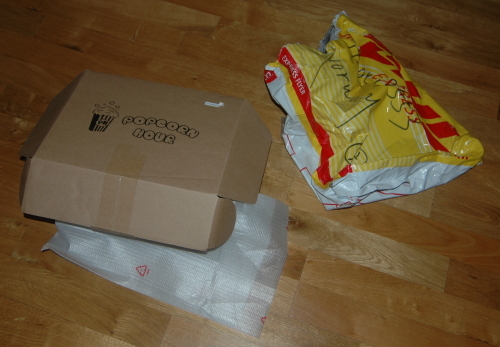 how the audio and/or video is packaged together in a file) is no problem. Any clearer? Hi Webmaster. Yep it was the TV. 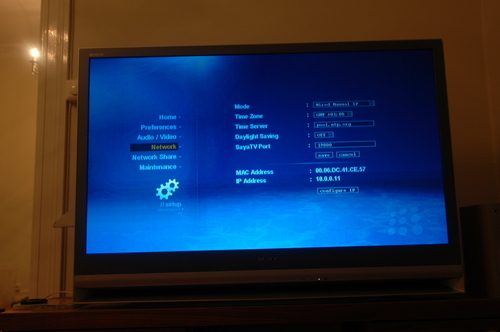 Could not decode AC3 via the HDMI. No other problems except I have issues sometimes with captions and turning them off if they get turned on..
Hi: I’ve got my internal drive installed and want to try out the torrent client. I have a torrent file on my computer, but how do I start it on the device? 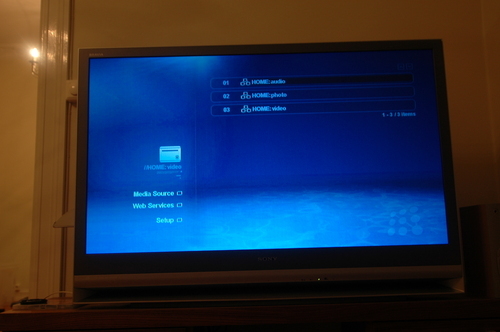 Believe it or not, I just want to stream 480i MPEG2 files from my WinXP server to my TV (yes, I’m very low tech). Your review makes it sound like this should be cake. Have you tried any straightforward (non-HD) MPEG2 files? 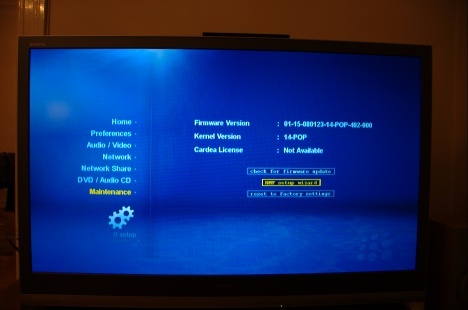 And this works with DVD isos? The only other question is whether you’re running gigabit ethernet? I can swap my switch for gigabit, but do I need to? Are you running gigabit or 100Mbps? I appreciate your review. I’m seriously considering getting one of these. Yes, it does play non-hd mpeg2 and it does play dvd isos. Setup is fairly straight forward, and as long as you are capable of configuring your WinXP box to hand out the shares you keep your videos on then the rest should be easy. And if you’re stuck, the forum over at networkedmediatank.com is a good place to get help (and here of course :-). You absolutely do NOT need gigabit ethernet. There is no current video format that needs more than your current 100mbit/s. First, this was a GREAT review! Told me everything I wanted to know. 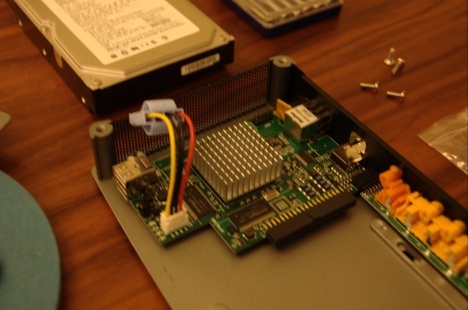 Second, are you aware of whether they are working on a SATA hard drive version of this? Third, if you wanted to use this thing as a random-shuffle jukebox to provide music for a party, would it do the trick? Are there long pauses between songs, or does it do smooth transitions? Is there any was to transfer content to the unit more quickly than NFS/FTP/SMB? Say through USB 2.0? Dang, I’ve got one more question…. hopefully the last one. 🙂 Is there any way to WiFi-enable this thing with an external USB WiFi dongle? 1. New device with SATA support? No, the chipset from Sigma Designs they’re using to do “everything” does not support SATA. 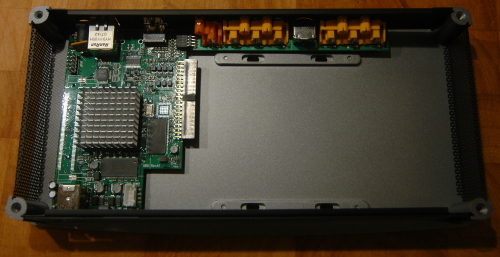 The next release of that chipset will have SATA suport, but products using that will not appear over night. They could do a new product with an extra PATA to SATA chip, but I doubt that will happen right away. If at all. 2. I haven’t used it as a random-shuffle jukebox, so no idea there. I’ll test it out and report back. The Logitech Duet is much better in that regard though. 3. It has two USB 2.0 ports on the front, so an external USB storage device works fine. Don’t have to copy anything, just play stuff straight off that. You will not get USB 2.0 speeds when transferring to internal storage though, as the embedded cpu most likely do not have the omph to do that. 4. Yes, there is support for certain usb wifi devices. Not entirely sure which ones but probably a given wifi chipset. I’m also very interested in this functionality as I would be using the Popcornhour soley as a ‘jukebox’ to randomly/shuffle play hundreds of MPG/AVI music video clips from a HDD through to my widescreen plasma. How functional is the UI for this? ie can a selection of different folders be selected to randomly play from? Update on the playlist status. It knows what a .pls playlist is, but I’ve yet to be able to make it actually play something from one. However, Syabas/PCH has rolled their own format so re-read the Audio chapter above for information about that. i have een problem. all of my buttons are grey, so i can’t use them any more. how can i make them work again. i hope someone can help my. You need to tell us where these buttons are. Please describe exactly what you are trying to do and where it does not work. Does the PH support DivX Hi-Def Profile vids? 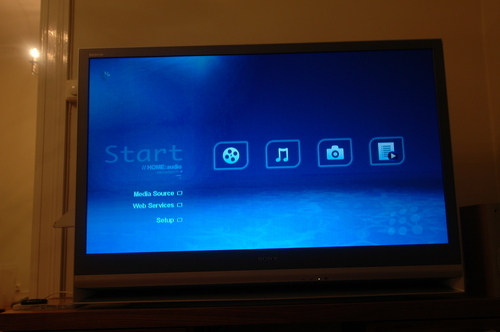 Popcorn A100 connected to my Yamaha RX-V663 AV Receiver via HDMI input. 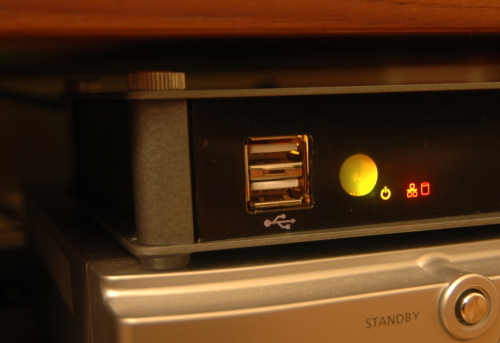 The Yamaha amplifier is then connected to the HDTV via HDMI output. Popcorn is setup for DTS digital, everything else such as AC3, AAC, MP3, WMA Pro all to analog PCM. My speaker system is a 5.1 surround using Monitor Audio BR5, BR-LCR, BR-FX and a subwoofer. From my testing the following audio formats worked in videos and stand alone music files. 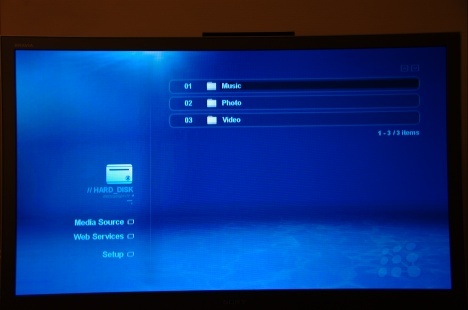 I’ve tried with the button in the remote than has an icon of “folder” but it doesn´t work. I can´t find help on the web. My question is. ¿is it posible without connecting the POPCORN to a PC? ¿How?¿it is posible connecting it to a PC? The PCH has at least two options for you here. 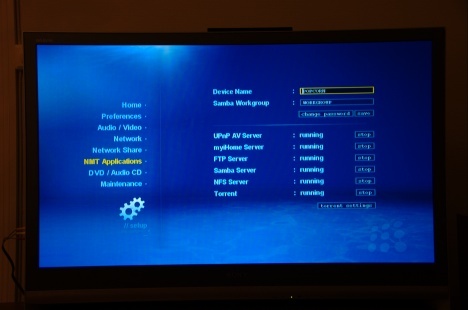 You can enable remote login using the GUI, and then use ssh to log in. Once in you can use unix-commands to create/delete directories and move files around. Google for ‘basic unix file commands’ and pick the first hit for a quick list of useful commands if you haven’t used a unix system before. Your second choice is ftp. I can’t remember off hand if the ftp server is automatically started once you have a hard drive installed and you have the “NMT Apps” package installed or you have to start it from the gui. Should be fairly easy for you to check though. Normal ftp commands include mkdir to create directories. Default user/password for both should be root/1234, although that has gone back and forth in a few firmware releases. 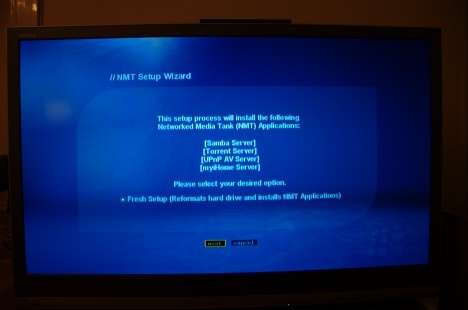 The third choice, although a bit trickier is to log in and fire up the Samba-server that comes with the NMT Apps package. 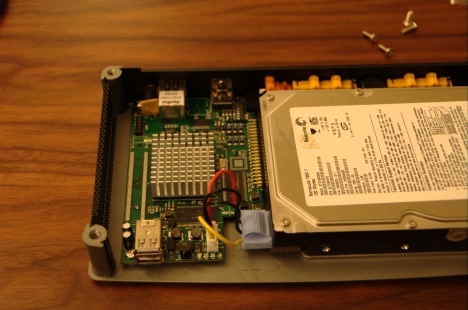 That allows you to share the internal hard drive and mount it on your PC. I suggest trying the first two alternatives first though. Sorry about not giving you exact instructions, but I haven’t got a hard drive in my PCH and thus can’t test this at the moment. Let me know if you’re having difficulties though. NOTE! 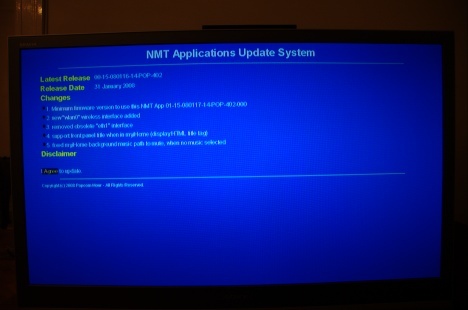 Make sure you have upgraded to the latest firmware first, aand NMT apps as there was at least one ftp corruption bug that has been fixed. 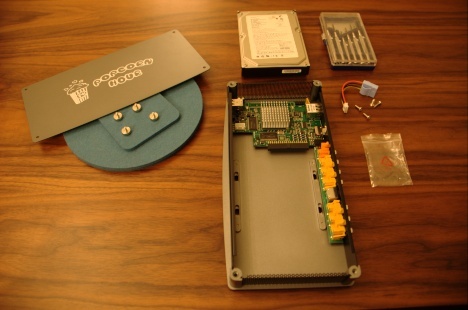 Have you tried installing a 2.5″ drive? I’ve bought a 2.5″ adapter for converting 3.5″ to a 2.5″, but I cannot seem to find my drive when I start my popcorn. Do you have any advice, beside trying to unplug and re-plug the drive? You say “You can enable remote login using the GUI, and then use ssh to log in”. How / where do you enable the ssh server? I cannot find anything in Setup. Using the firmware of June (which is currently the latest in online update). The 3.5 to 2.5 adapter should work fine. However, you may have to partition/format the drive in a PC before the PCH can deal with it. Any file system will do. Hope this helps and sorry for the vacation delay in answering! 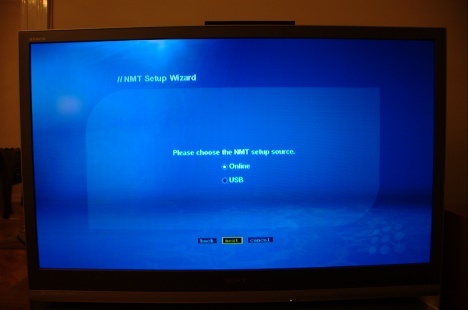 The username/password depends vaguely on your firmware version, but try “nmt” as the username and “1234” as the password. If that doesn’t work then let me know your firmware version and I’ll see what I can dig up. great review do you plan on upgrading to the 110? I don’t think so. At the moment, the only thing I really miss is the DTS to PCM conversion. But since the A-100 firmware now has fairly good support for multiple sound tracks it’s really just a matter of adding a stereo soundtrack to the little DTS stuff I have using a simple linux script. So I’m not too bothered. If I didn’t have an 100 I’d definitely fork out the extra $40 for the 110 however. Do you know if there is a way to modify/add ftp users and passwords? I don’t own a PCH (yet), but from what I’ve read, I believe that if you can forward an external port to the PCH’s ftp port, you could use it as a really good ftp server, however this wouldn’t be a good idea if anyone can login with the ftpuser / 1234 account. Also, I’m looking forward to buy an A110, and as you correctly say, there is this USB slave functionality, however as the file system is ext3, if you want to access the hard disk while running windows you’d need to install the ext2drivers (I mainly use linux, but I’d like to use the PCH as an external hard drive), I also know that ntfs writing is not currently supported (and with low priority in the to do list) in the PCH, but do you know if there is a way for installing the applications in an ext3 partition (so that you could take advantage from the bittorrent client) and storing and accessing (over ftp and smb) your media files on the other partition? First off, you can change the ftp password from the user interface. But you can’t easily create more ftp accounts there. I have not tried this, but since you can use a trick to install a telnet daemon on the pch so you can log in, you might be able to edit the password file for the ftp daemon to create more accounts. Not tried this myself, as I haven’t got a hard drive in my pch (too noisy for the living room :-). I’ll see if I can dig one out and test for you though. Not quite sure what you mean by your other question, but I’m guessing you want to have one ext3 partition to install the bittorrent/ftp stuff on and then an ntfs partition for easy use from your pc? That’s certainly possible, but you may have to do some voodoo to mount both every time you boot your pch. But if you only need ftp and smb access to the hard drive in your pch, then there is no need to use ntfs. You can format the whole drive as an ext3 partition and use it for ftp/smb/bittorrent. Just a detail: I guess, the playlists extension .jsp has however to do with Java Server Pages, because NMT’s MyiHome is a J2EE app with JSPs, although in cases of just static playlists this is a little confusing. But I made the experience, that every extension other then .jsp works as well. I’ve been using the popcorn hour for about a year now without a hard drive. I recently went to add one and realized I lost the cable that powers the drive. Is this a standard cable? Any idea where I can order a new one? I don’t know if this has been asked yet(dont feel like wandering through the 6 pages of comments) but can the PCH unpack rar files. As most of the torrents nowadays come in rar compression it would be nice if the PCH or bitorrent app could unpack these files. Best PCH review i’ve seen by the way. That would be great if it had a USB port in the back for a WiFi adapter or TV Tuner, or even just for storage so it’s out of sight. Well, this is may case… There are any others better devices that you could point me? Wich is the best in the market now? Hi unfortunetly I locked the servis page on popcorn hour A 100 and I do not know how it unlock again. Currently I can not set up the device. I would like to ask you to help me solve this issue ?